Help your class set a record as you celebrate your reunion with a gift to the Bancroft Fund! The annual Bancroft Fund provides essential support to every one of Bancroft’s programs, and Reunion Giving represents a large part of total contributions in any given year. Take part in the Reunion Class Gift Challenge! It's a fun way for classes to compete with each other, honoring your class while providing needed support. All gifts received between July 1, 2018 and June 30, 2019 are counted toward your Class’s Reunion Gift. Records are set based on both dollars and participation rates, so every gift is significant. If you haven't yet joined in the Class Gift Challenge with a gift to the Bancroft Fund, please do so today! What is a Class Gift Challenge? The Class Gift Challenge is a special initiative of the annual Bancroft Fund that seeks increased support from those classes celebrating a reunion. Bragging rights are up for grabs for the class with the highest percentage of participation. Every gift counts! Reunion Class Gifts support the Bancroft Fund and provide unrestricted resources to help cover the cost of running the School. Because tuition and fees do not cover the actual cost of each student's education, Bancroft looks to alumni - along with parents, grandparents, trustees, faculty and friends - to help bridge that gap. The Bancroft Fund provides immediate unrestricted funds to support the School’s highest priorities, including curriculum development, financial aid, improved technology, athletic equipment, classroom enhancements, student activities, faculty development, and all the extra support and mentoring that continues to be a part of the Bancroft tradition. Bancroft School depends on the generosity, enthusiasm, class camaraderie and spirit of its alumni to anchor the Bancroft Fund. Successful reunion classes set the pace for the Bancroft Fund, and can help to inspire other classes through their Reunion Class Gift Challenge. Your class gift, along with those of other reunion classes, will have a profound impact on the School's ability to continue to offer a premier college-preparatory education. Your participation matters most. Everyone is encouraged to participate in her or his Reunion Class Gift. Levels of support will vary from class to class, and from person to person, but your Class Agents will likely ask for a "stretch" gift from everyone in the class. Some of those gifts will qualify the donors for membership in one of Bancroft’s leadership giving societies. Please remember, every gift - no matter the size - is meaningful to Bancroft. If you are not able to make a gift at one of the leadership society levels, or if you have not been a regular supporter of the Bancroft Fund, we hope you will still consider participating in your Reunion Class Gift Challenge. There is Power in Participation! The Bancroft Fund year begins July 1 and ends June 30. All gifts must be received between those dates in order to be counted in the total for your Reunion Class Gift Challenge. 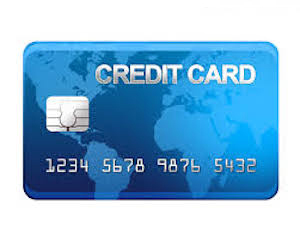 To make a gift by credit card click on the above Donate Now button or call the Advancement Office at 508-853-2640 x 297 and speak with a member of our staff. To make of gift of stock, please also contact the Advancement Office for wire transfer instructions. To promote charitable giving many companies sponsor Matching Gift programs and will match most charitable contributions made by their employees to nonprofit organizations. Some companies match gifts made by retirees and/or their spouses too. Bancroft School is a registered nonprofit organization and holds 501(c)(3) status in accordance with state and federal laws. Contact your personnel or human resources department to find out if your company has a Matching Gift program and gift processing information. If received by Bancroft before June 30, your Matching Gift will count in your Reunion Class Gift and can help you qualify for membership in a leadership giving society.